Hey you guys happy 2018! For the month of January I decided to do all episodes on fitness, diet weight loss and health all from different perspectives in hopes to give you inspiration to get you through January and not to quit your goals and keep you pushing through when you feel frustrated. So I couldn’t think of a better guest to start off the new year with then Heidi Powell! 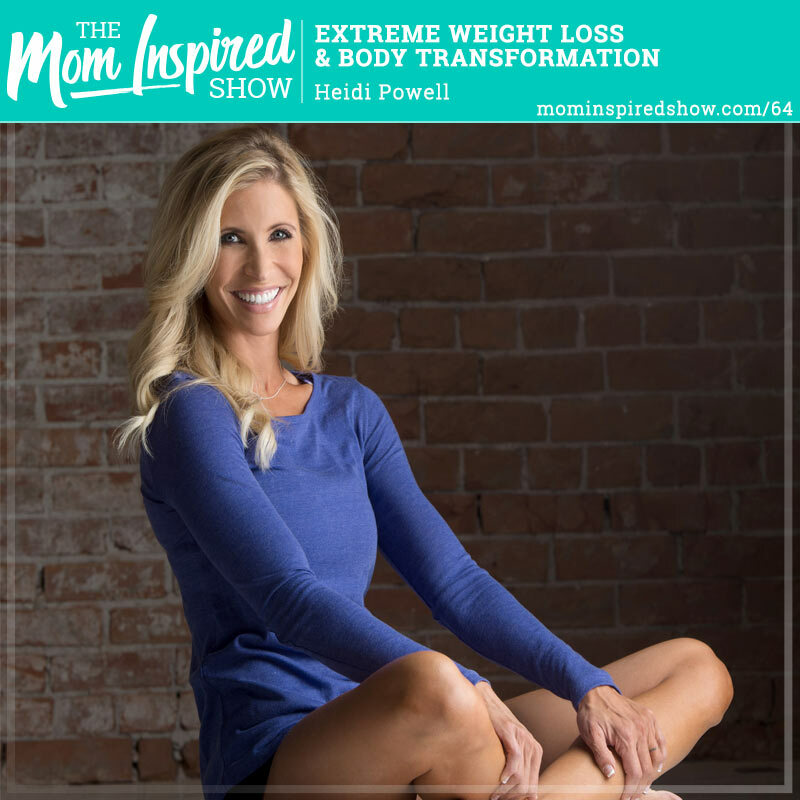 You guys I can’t tell you how excited I am to have Heidi on the Mom Inspired Show. If you are familiar with the show from a couple years ago called Extreme Weight Loss on ABC then you probably know who Heidi Powell is! Her and her husband Chris were the trainers on the show and they helped people lose huge amounts of weight. So, I wanted to bring her on the show today because not only does she have a killer body but she has 4 kids and runs a business with Chris. So she totally gets how it is to be a mom, to be busy and trying to make time for working out and eating well. Heidi shares with us that if what we are not doing things that are attainable then its going to be very hard long term to stick with. 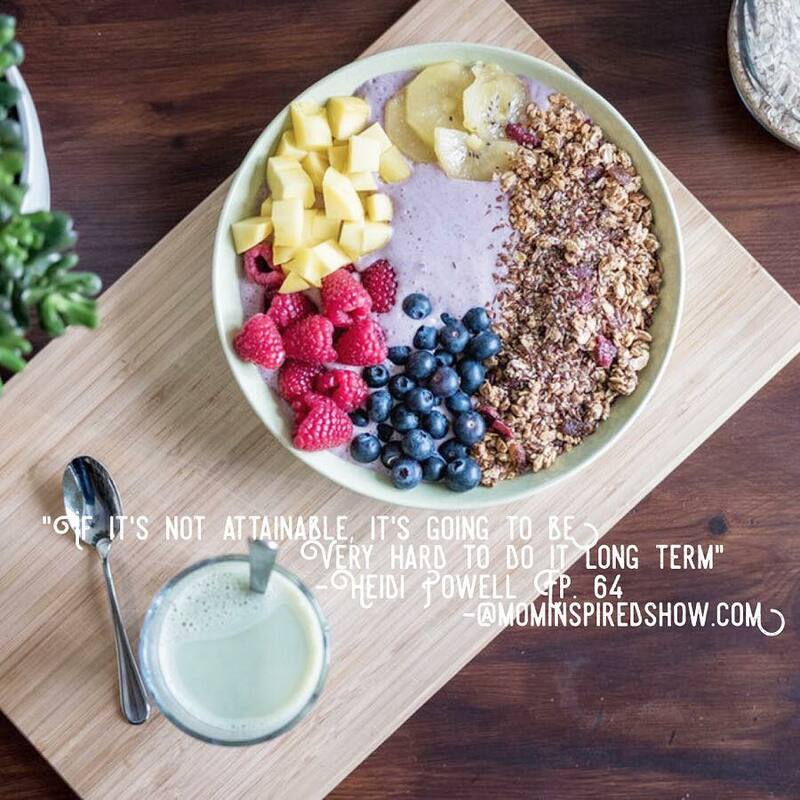 She shares with us how their new app is all about eating a lot, not feeling deprived and still reaching our goals. I hope that this show leaves you inspired to start the new year on the right foot and make 2018 your year! Now that Christmas is over, are you planning your next vacation? Are you dreaming of a warm tropical vacation or maybe next year you want a white Christmas and trying to plan for it? Do you feel like you just spent all your extra money and can’t figure out how to budget for an amazing trip with the family? Let me help you! I created the Vacation Planning Tool to do just that, help you be intentional with budgeting future vacations. Click the link to hear more about it!